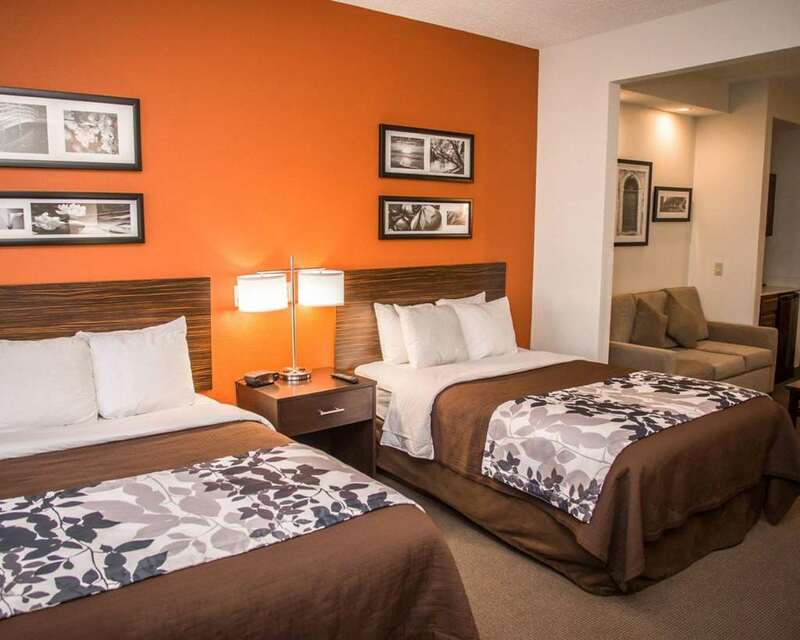 The Sleep Inn and Suites at Concord Mills hotel in Concord, NC will give you a simply stylish experience. Nearby destinations include Charlotte Motor Speedway, Concord Mills outlet mall, PNC Music Pavillion, Time Warner Cable Arena, Bank of America Stadium, Carowinds Theme Park and NASCAR Speed Park. Enjoy amenities like free breakfast, free WiFi, fitness room guest laundry facilities and free weekday newspaper. Guest rooms feature a refrigerator, microwave, coffee maker, hair dryer, iron and ironing board. Also, earn rewards including free nights and gift cards with our Choice Privileges Rewards program.